Итальянский пилот Ренато Донати на биплане Caproni Са 131 с двигателем Bristol Pegasus установил 11 апреля 1934 года новый мировой рекорд высоты - 14435 м. Вскоре это достижение было перекрыто французским самолетом Potez 506, достигшим высоты 14843 м.Тогда ДальшеMore>>> британцы решили вернуть себе рекорд, и в июне 1934 года фирма "Bristol" получила предложение построить два прототипа на базе проекта высотного экспериментального самолета, разработанного в ноябре 1933 года. В качестве силовой установки на нем предполагалось использовать двигатель Pegasus, оснащенный двухступенчатым нагнетателем. Конструктор Барнуэлл доработал под требования спецификации 2/34 проект, получивший фирменное обозначение Bristol Type 138A. Самолет, проектирование которого завершилось в сентябре, представлял собой низкоплан деревянной конструкции. Для снижения массы шасси было сделано неубирающимся. Для пилота был разработан специальный гермокостюм. Ключевым элементом проекта был двигатель Pegasus PE.VIS с механическим нагнетателем (второй, дополнительный, нагнетатель мог крепиться к противопожарной перегородке и приводиться через гибкий вал и муфту). Постройка Type 138 завершилась в начале 1936 года, и 11 мая в Филтоне бывший обладатель мирового рекорда высоты Сирил Авинс поднял его в воздух. В этом и еще двух полетах (16 и 22 мая) самолет был оснащен обычным двигателем Pegasus IV, вращавшим трехлопастный винт. После пребывания в Фарнборо, где проводились испытания кислородного оборудования, 15 августа самолет вернулся в Филтон для установки высотного мотора и четырехлопастного винта. Для установления рекорда был выбран сквадрон-лидер Ф.Р.Д. Свейн, 5 сентября перегнавший Type 138A из Филтона в Фарнборо. Стартовав с этого аэродрома 28 сентября, он установил зарегистрированный ФАИ новый мировой рекорд высоты - 15 230 м - и приземлился в Низерэйвоне. Хотя в мае 1937 года на самолете Caproni Са 161 итальянцы установили новый рекорд 15 655 м, незначительные доработки Type 138A позволили превзойти и это достижение. Флайт-лейтенант М.Дж. Эддам 3 июня 1937 года поднялся на высоту 16440 м. Special Bristol Monoplane Piloted by Sqn. Ldr. 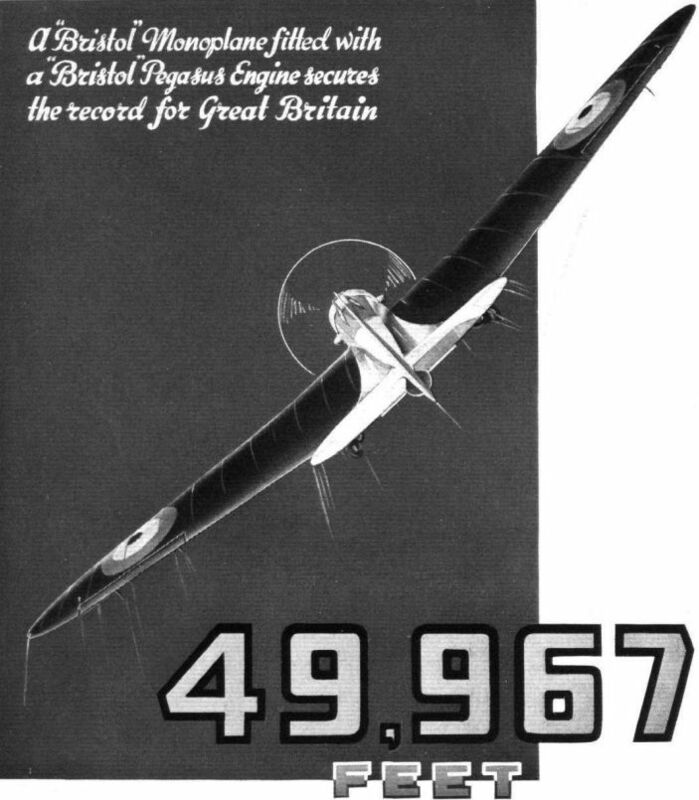 F. R. D. Swain Recaptures World's Altitude Record by Ascent of 49,967 ft.
SUBJECT to official homologation by the F.A.I., the world's altitude record now stands to the credit of Great Britain with a height of 15,230 m. (49,967 ft.). This magnificent performance was carried out last Monday by Squadron Leader F. R. D. Swain, of the Royal Air Force, on a Bristol monoplane fitted with a Bristol Pegasus of special type. The preparations for the record flight have been going on for some little time, but not until now has it been possible to refer to the fact. The existing record of 48,674 ft., standing to the credit of the French pilot, Detre, flying a Potez, is thus broken by 1,293 ft. Sqn. Ldr. 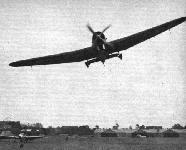 Swain took off from Farnborough at 7.30 a.m., and landed at Netheravon, Wilts., at 10.50 a.m.
Sqn. Ldr. Swain, who is a Portsmouth man, was seconded to the R.A.F. from the Army in 1922. He graduated as a pilot at No. 5 F.T.S., Sealand, and then attended a course of armament instruction at Eastchurch, afterwards being posted to No. 2 (Army Co-operation) Squadron at Andover for flying duties. 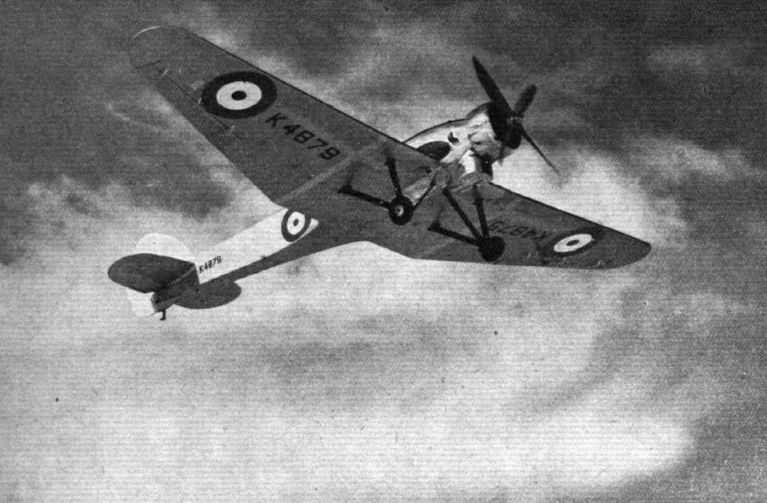 After passing a flying instructor's course at the C.F.S., Upavon he served with different squadrons at home and overseas, and in the autumn of 1933 he joined the Experimental Section of the Royal Aircraft Establishment at Farnborough as experimental test pilot. The preparations for the record altitude flight, and the general research programme connected with it, were undertaken under the immediate direction of Mr. H. E. Wimperis, Director of Scientific Research at the Air Ministry. 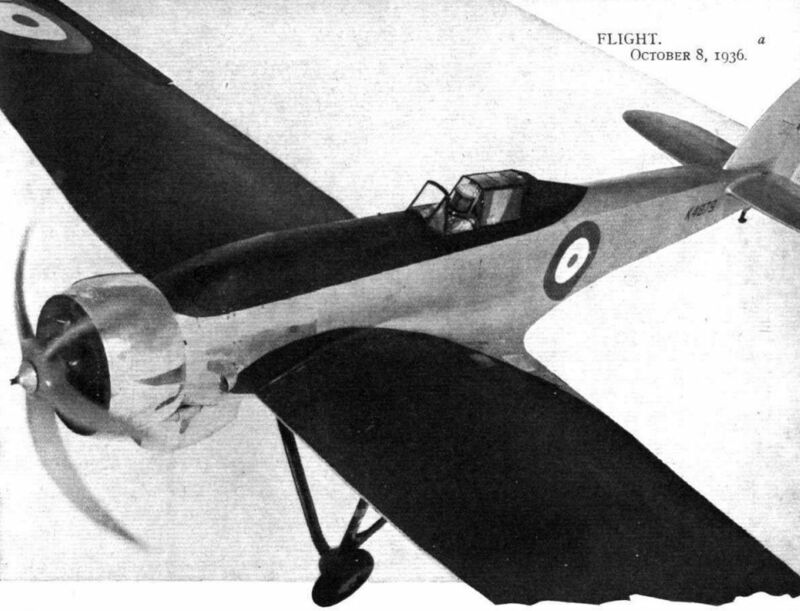 The aeroplane and engine were designed and built by the Bristol Aeroplane Co., Ltd., at the request of the Air Ministry, and in this connection it is of interest to recall that in 1932 Capt. 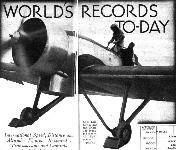 Cyril Uwins, Bristol's chief test pilot, established a world's altitude record by flying to 13,404 m. (43,977 ft.) in a Vickers Vespa biplane specially converted by the Bristol Company. This machine was fitted with a supercharged Bristol Pegasus engine. There is thus a degree of poetic justice in the fact that the recent record breaker should also be of Bristol design and manufacture. Mr. Roy Fedden, chief of the Bristol engine department, and Capt. 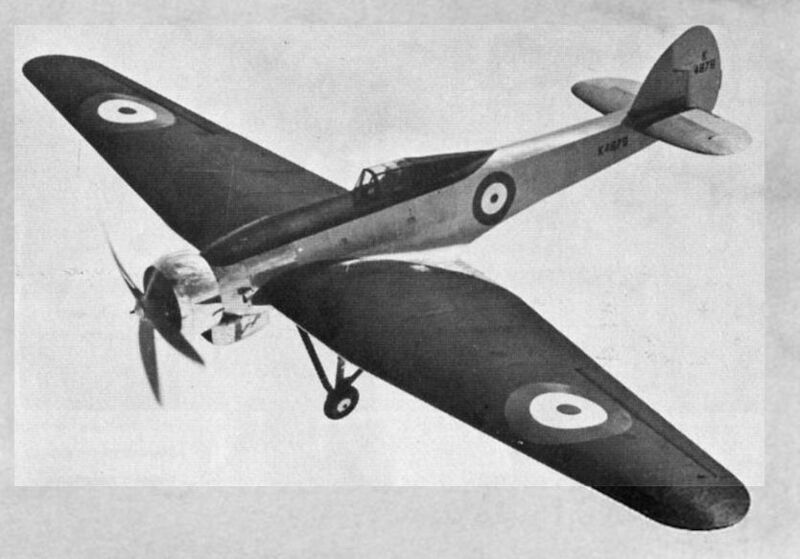 F. S. Barnwell, Bristol's chief aircraft designer, share with their respective staffs the honour of having produced the combination which has just entered the name of Great Britain once more on the list of world's records. Known as the Bristol 138, the record-breaking machine is a low-wing cantilever monoplane which, except for its size, reminds one very much of the little Bristol Brownie which took part in the Lympne light plane trials some ten years ago. For the sake of lightness the machine is constructed mainly of wood, except, of course, the engine mounting and cowling. The original estimate for tare weight was 4,420 lb., and when the machine was finished it was found to weigh 4,391 lb., so that the original guess was very close indeed. Loaded for the altitude flight the machine weighed 5,310 lb., a figure which gives a wing loading of 8.53 lb./sq. ft. Induced drag is of great importance in an aircraft which is to have a high ceiling. In the Bristol 138 the span is 66 ft., and the span loading works out at 1.22 lb./ft.2. With its large span it seems likely that the machine is the largest single-seater aeroplane ever built. Of constructional features it may be of interest to note that the wings are built in three sections, of which the central section is integral with the fuselage and has three main spars with plywood webs and mahogany flanges. The covering is plywood sheeting, known as "Teago" three-ply, in some parts less than 1 mm. thick. The fuselage is a rectangular-section monocoque, with plywood skin glued and screwed through the mahogany longerons and struts, the whole being faired afterwards to produce a good low-drag shape. 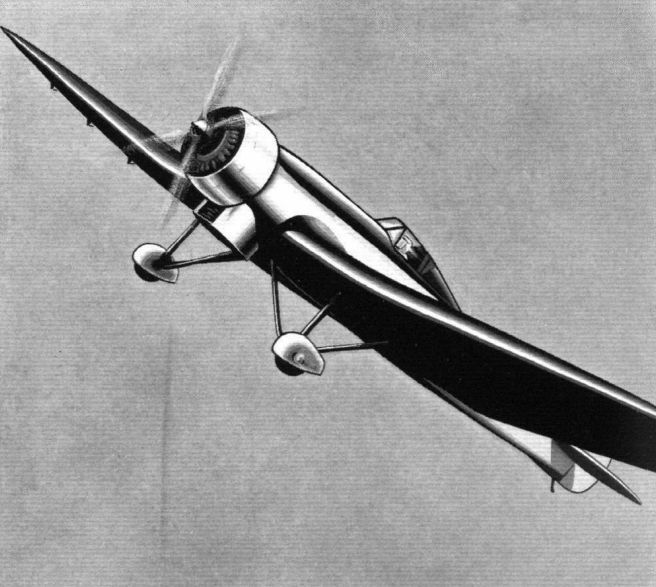 It will be seen from the photographs that the sides of the fuselage are left fiat towards the stern, probably to increase the directional stability. An undercarriage of conventional fixed type is used. 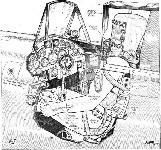 This was adopted because in a machine built for this particular purpose weight is of more importance than drag, and a retractable undercarriage, with its extra weight, was not considered worth while. Dunlop wheels and brakes are fitted. The engine fitted in the Bristol 138 is a special type of Bristol Pegasus known as the P.E.VI S. Its most interesting feature is the two-stage blower, which gives a degree of supercharge not attainable with a single-stage unit. The blower drives incorporate clutches, so that the pilot can use the engine as a naturally aspirated engine until a certain height has been reached. This is necessary to avoid feeding too dense a charge of mixture into the cylinders at low heights. The double-stage supercharge heats up the air in the induction system, and to prevent excessive heating up, an inter-stage air cooler is mounted under the fuselage, just aft of the engine. A total petrol capacity of 82 gallons is provided. 70 gallons being carried in the lower main tank and 12 gallons in the upper, to which fuel is fed from the lower by pump. The smaller tank gives gravity feed to the engine, and its capacity suffices for about a quarter of an hour's flight. 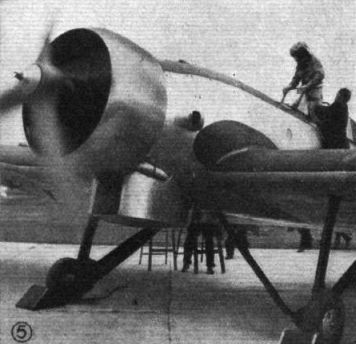 The fuel used in the altitude record flight was a special petrol developed from the standard grade of Shell Ethyl aviation gasoline of 100 Octane number, and is known as S.A.F.4. It is chiefly remarkable for its high anti-knock value, which exceeds that of pure iso-octane. The high degree of supercharge from the two-stage blower results in a high mixture temperature, and this tends to promote detonation, so that a high anti-knock value is essential. Lubrication presented its own special problems, and after much laboratory work a standard grade of Shell Aviation oil was chosen as best complying with the special requirements which the record flight would involve. No figures relating to the performance “on the way up” during the record-breaking flight are yet available, but it may be of interest to quote some performances calculated before the machine made the flight. The initial rate of climb from ground level was estimated to be 1,040 ft./min., with the engine developing 370 b.h.p. ; an altitude of 10,000 ft. should be reached in 9 1/2 minutes, and at that height the machine should be climbing at the rate of 1,060 ft./min., the engine then developing 335 b.h.p. To reach a height of 40,000 ft. should, it is estimated, take but 35 minutes, and at that height the rate of climb should be as high as 1,430 ft./min., the engine developing 457 b.h.p. After 40,000 ft. it was expected the rate of climb would decrease, but at 50,000 ft., which should be reached in 46 minutes, it should still be 580 ft./min. with the engine developing 380 b.h.p. The calculated service ceiling (the height at which the rate of climb has dropped to 100 ft./min.) was 54,000 ft., and it was thought that this height should be reached in about 63 minutes. It will be obvious that these are theoretical figures, and that they may not have been adhered to closely during the actual record flight. The pilot is seated in a very roomy cockpit, which is heated by air from the oil coolers in the wings, the degree of heating being under his control. 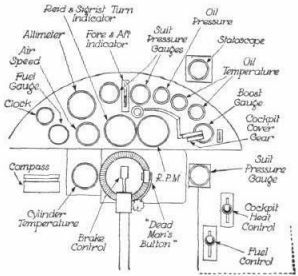 Instruments on the panel in front of the pilot include turn indicators and fore-and-aft levels by Reid and Sigrist, oil pressure gauges and oil thermometer inlet and outlet by Negretti and Zambra, airspeed indicator and fuel tank contents gauge by Smiths Aircraft Instruments, engine speed indicator by Watford, designed by the R.A.E., and pyrometer by Weston Electrical Instruments. Special instruments for recording the altitude have been produced by the R.A.E. Known as barothermographs, these instruments record atmospheric pressure and temperature. They are mounted, one on each side inside the wings, on springs to insulate them from engine vibration. The instrument includes a hollow drum around which is wrapped a thin sheet of smoked metal. The drum is rotated by the expansion and contraction of the outer skin of a coil of strip metal due to temperature changes. A pointed arm pressing on the smoked metal sheet causes a scratch to be made. The arm is moved by the action of atmospheric pressure on a series of flexible boxes made of very thin metal, from which most of the air has been exhausted. The line scratched on the surface of the smoked metal sheet makes it possible to determine the atmospheric pressure at the greatest altitude, and the temperature of the air at all lower altitudes. 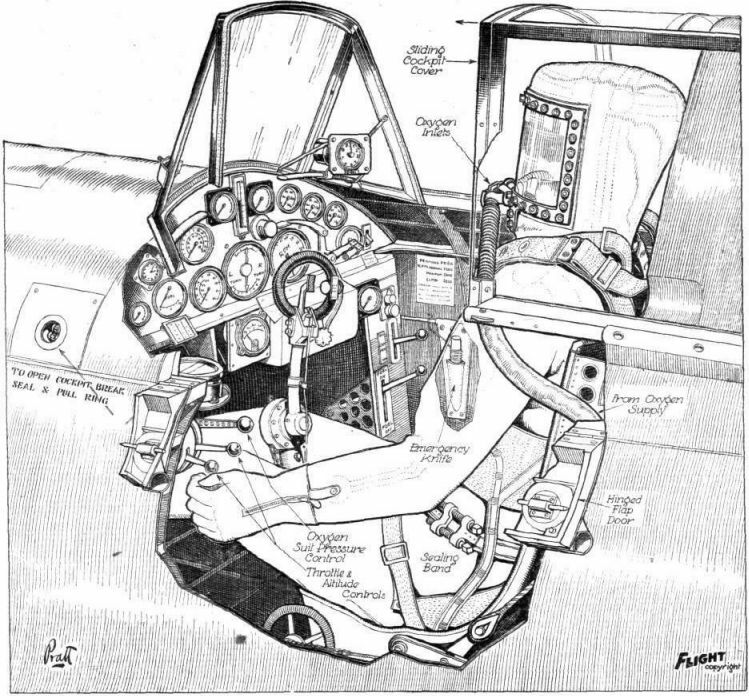 An ordinary altimeter specially arranged to give readings up to 60,000 ft. is mounted in the cockpit to allow the pilot to know his approximate height. This altimeter, by the way, is one of Smith's. 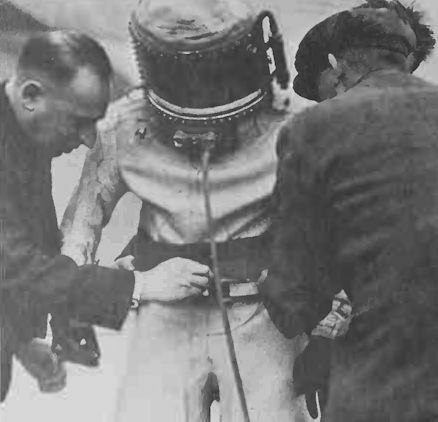 To enable the pilot to stand the extremely low pressure encountered at about 50,000 ft. (approximately one-ninth of ground-level pressure) a special “pressure-suit” has been produced by the Siebe Gorman Company. This suit is based upon the work of the late Professor J. S. Haldane and Sir Robert Davis, in conjunction with the Air Ministry. The suit is made of rubberised fabric, and is provided with a helmet having a large “bay window” in front. The suit is made in two pieces, the joint being made at the waist with a type of pipe-clip. A breathing circuit of the closed type is employed, oxygen being fed into the circuit at the requisite rate. The oxygen jet is the driving element in a small injector which produces rapid circulation. From the injector the gas passes through a flexible tube which enters the helmet on the right-hand side of the face and passes across the face and the window to an outlet on the left. The gas, which now contains the exhaled breath, then passes down a flexible tube to a canister containing chemicals which absorb the carbon dioxide and moisture from the exhaled breath. From the canister the gas issues again, as pure oxygen, to be re-circulated through the system. By way of giving this pressure suit a thorough test beforehand, Sqn. Ldr. Swain donned it and went into the "altitude chamber" at Farnborough. This is a chamber from which the air can be exhausted, and during tests the pressure was reduced to correspond with an altitude of 80,000ft., which is, of course, far in excess of any possible requirements. 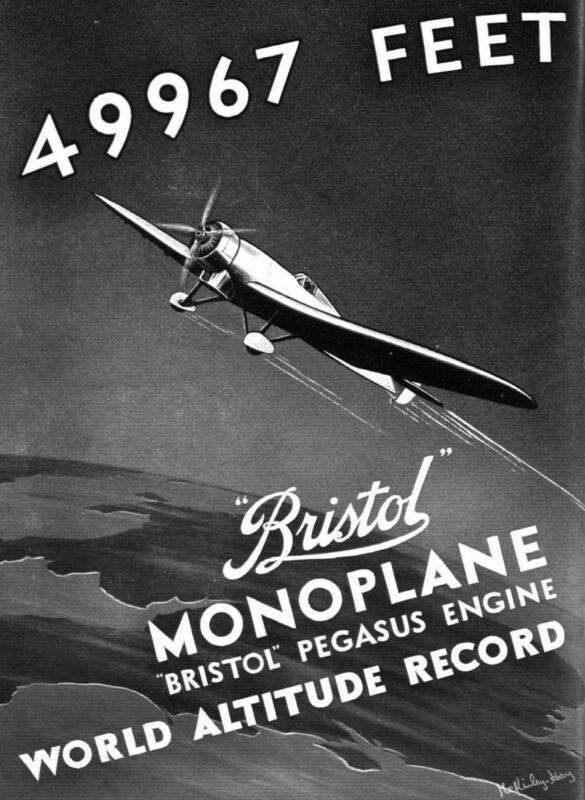 The Bristol 138A Monoplane (Bristol "Pegasus" engine) which put up a World's Height Record of 53,937 ft. on June 30, 1937. Перед кабиной пилота Type 138 было предусмотрено место для второго члена экипажа. The Bristol 138A, K4879, which twice gained the World Altitude Record for Britain. On the second occasion, on 30th June 1937. F/Lt. M. J. Adam, taking off from R.A.F. 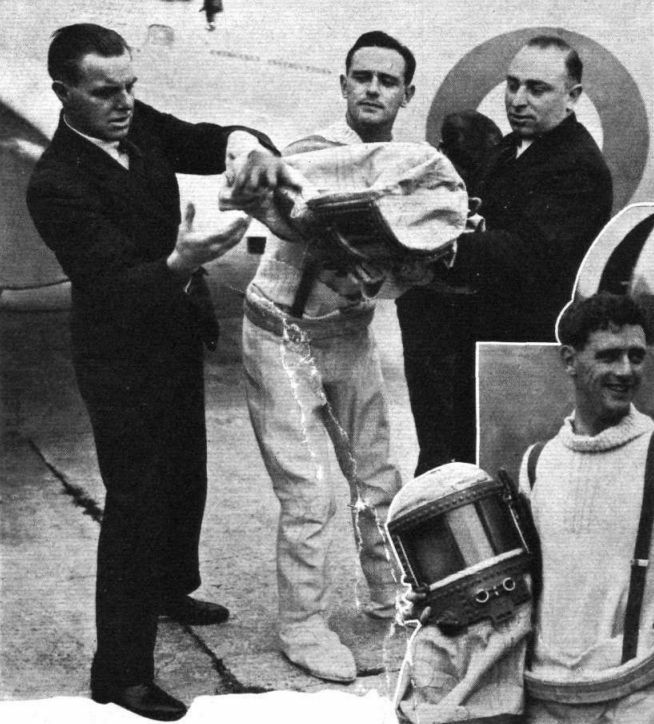 Farnborough, reached a height of 53.937 ft. During the flight, which lasted 2 1/2 hours, the cockpit canopy cracked but Adam was saved from injury by his pressure suit; inflated with oxygen, it had a sealed helmet resembling early astronaut's gear. The triumphant Bristol 138 monoplane is stationed at the R.A.E., Farnborough, where it is seen flying here. On July 1 it was announced to the world that on the previous day Flt. 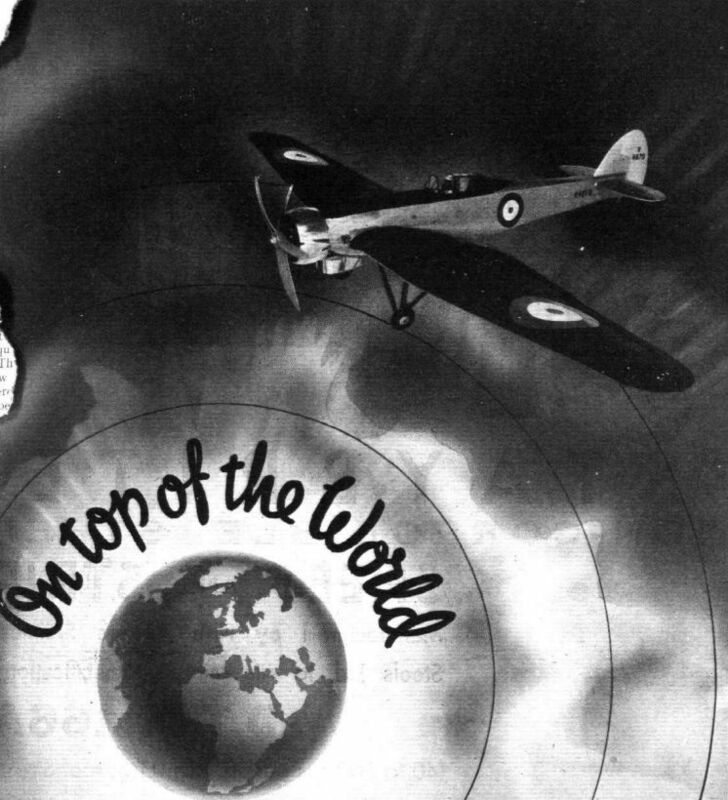 Lt. Adam had recaptured the world's height record (53,937 ft.) on a special Bristol monoplane. Sqn. Ldr. Swain and the Bristol 138 monoplane. 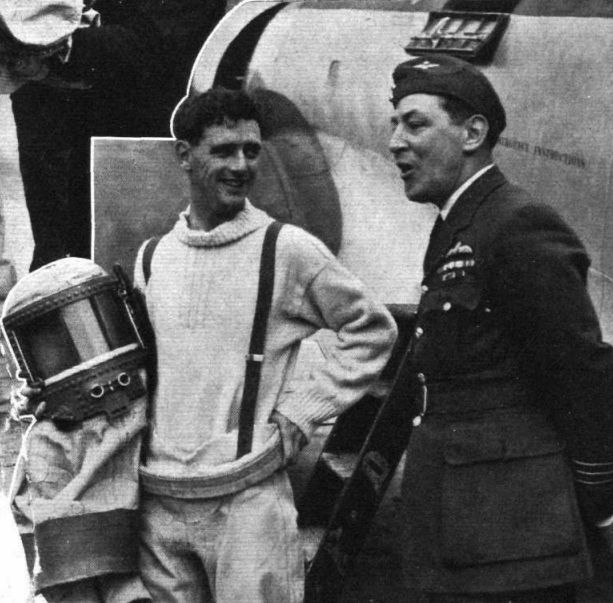 Pressure suit worn by the pilots of the Bristol Type 138A. Flt. 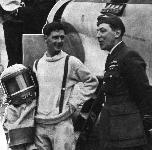 Lt. Adam is seen discussing chances with Wing Cdr. J. W. Woodhouse. HIGH-SCHOOL LESSON-I. "Now watch!" - "A little French chalk to get one's hand in." - "Now for the hat - most important." HIGH-SCHOOL LESSON-II. "We screw up the belt clip to set our seal on the inner man." - "And so on board (very 'Things to Come' this bit)." - "The good old Hucks is still used where weight is a consideration." HIGH-SCHOOL LESSON-III. "Per Pegasus ad Astra." - "Down to two feet once more" - "What d'you know about that?" 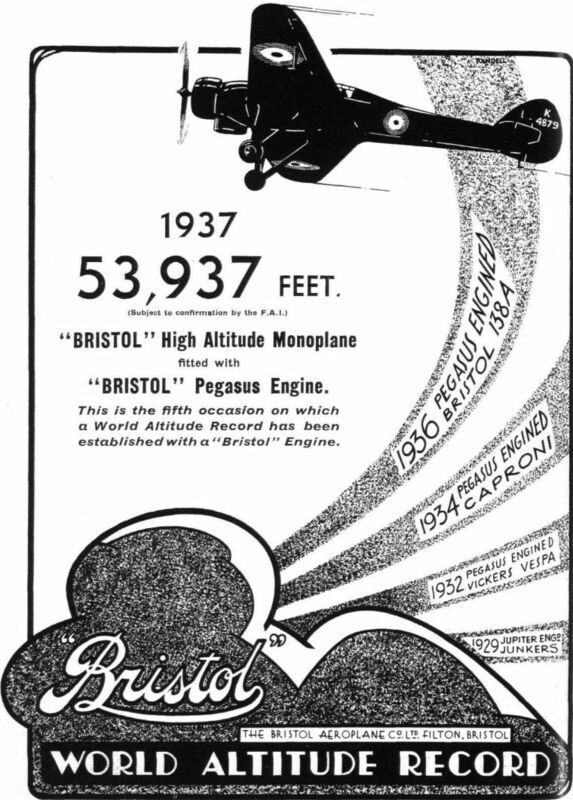 The Bristol 138 reached 50,000 ft. in 1936. One of the least encouraging factors to Fit. 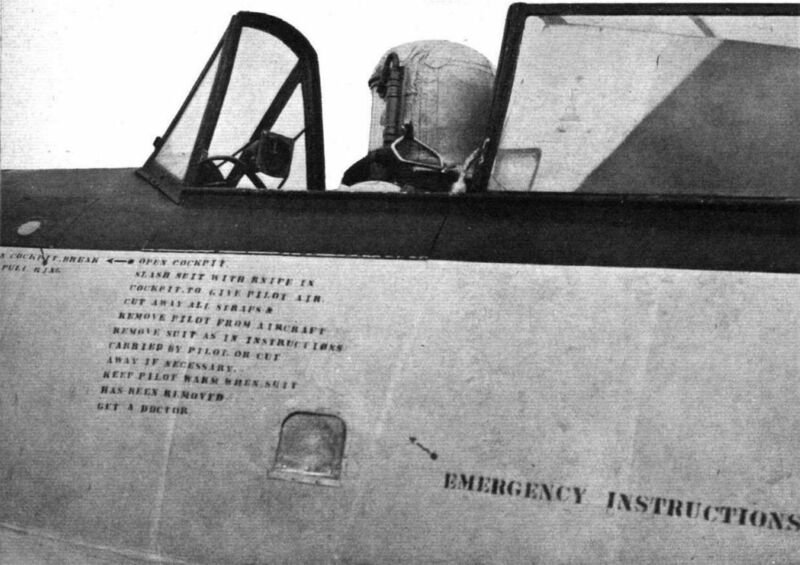 Lt. Adam must have been his glimpse, on entering the cockpit, of the emergency instructions inscribed on the fuselage of the Bristol. 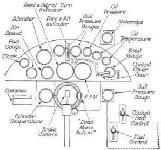 Numerous instruments enabled the "pressure-suited" pilot to know at any moment what his aeroplane and enginewere doing. The actual recording altimeters were carried in the wings, but an ordinary altimeter in the cockpit informed Sqn. Ldr. Swain of his height at any time during the flight.